Several years ago, The Entertainment Software Association published data on the video game industry. At that time, the industry generated over $25 billion in annual revenues in which more than 70% of American households admitted to playing computer or video games. One would think that the average age of a game player is in the 18 – 25 year old group, when in reality the average age is 37! One could argue that being immersed in playing video games has some potential benefits including building of eye-hand coordination, learning strategy, and in some cases enhancing social relationships through online multi-player engagements. In fact, it has become a form of therapy for some. One of aspects that is commonly overlooked that is associated with intense video gaming is back pain. When one enters the world of Call of Duty or Grand Theft Auto, it is usually a not a short event! Intense gamers may play for hours (or days!). As we know, sitting for prolonged periods is not healthy for our back. This type of activity may cause muscular stiffness and soreness that can become persistent and chronic with repetitive activity. When gaming, most are slouched on a sofa, hunched over in a chair, or leaning over a desk. Posture is rarely ever considered in these situations, but based on the frequency and magnitude of this, back problems can develop. Even smartphones are not innocuous. Many spend hours looking at a 5” screen with our neck in a forward flexed position. Beyond postural concerns for gamers, the real dark side is the development of a sedentary lifestyle for some. Granted, while some of the game systems offer games that encourage exercise or repetitive whole body movements, the overwhelming majority are centered around pushing buttons on a remote control or keyboard. 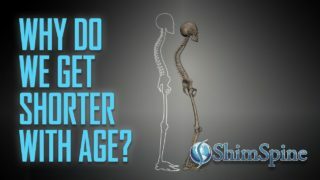 This has the potential to develop an unhealthy lifestyle especially among skeletally maturing adolescents and adults. 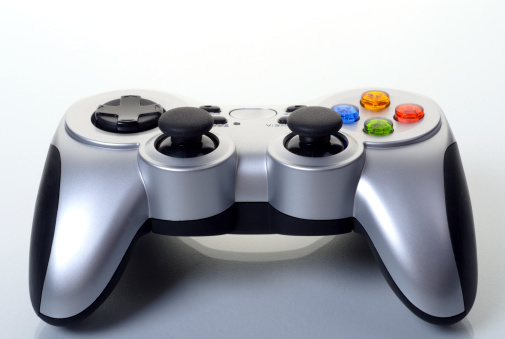 Several have published about sleep deprivation associated with intensive gaming. A lack of sleep can lead to several different health concerns including joint and back pain. A Finish study in the BMC Musculoskeletal Disorders Journal (Makala PT, Saarni LA, et al 2012) evaluated musculoskeletal pain in school children 11 to 16 years old. The authors concluded that use of a computer for 2 or more hours a day increased the risk of moderate to severe intensity pain in different anatomic regions including the neck and back. Other anecdotal reports have also identified that prolonged gaming or computer use may lead to back pain. The actual statistics of this are really unknown and probably unreported. How many children (and even some adults) are likely to complain that their back is hurting frequently from playing video games? I am sure many would fear the repercussion of having their X-Box One or Play Station taken away! The bottom line…. We must be aware of the potential physical consequences that prolonged video gaming may cause. Beyond a discussion about moderation, posture and the need for physical exercise are important especially in developing adolesecents and those who lead a sedentary lifestyle. What used to be hours on end of playing outside when I was in my pre-teen and teenage years, has now transformed into days (and often nights) of non-stop video game action for many. 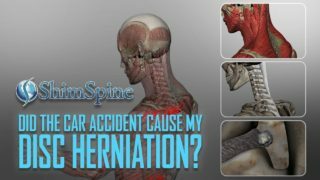 In virtual reality, we can go unscathed through intense battle with the enemy for hours or run for 200 yards in a football game and not even break a sweat, but back pain is a reality from exhaustive gaming.